The biennial Ross and Davis Mitchell Prize seeks to recognize Canadian poets whose work wrestles with the beauty and complexity of religious faith. 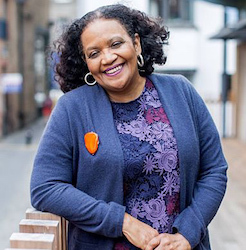 In 2019, the winner and runner-up will be awarded $20,000 and $5,000 respectively, by a panel of three celebrated writers: Lorna Goodison, Chelene Knight, and Scott Cairns. Poets engaged with all faith traditions are encouraged to submit work, however this prize is not designed to erase distinctions or paper over conflict. There are meaningful differences between Muslims and Christians, Hindus and Orthodox Jews that cannot, and should not, be erased, suppressed, or ignored. Instead, this prize seeks to honor writing that explores the distinctive contours of belief and the shape it gives to modern life. The 2019 Ross and Davis Mitchell Prize will be awarded to a poet who is hammering out new forms and new language to express the ineffable today. The prize seeks to encourage writers whose poems provide access to spiritual experience, awakenings that cast light on the world and make it known. We want to hear from poets who are grappling with transcendence and the divine, those for whom poetry is—as Christian Wiman would describe it—a form of theology. Launched in 2016, the Ross and Davis Mitchell Prize is presented by Image journal, with support from Cardus. It’s open to all writers currently living in Canada and Canadian citizens living abroad. All shortlisted nominees will have their work considered for publication in Image. 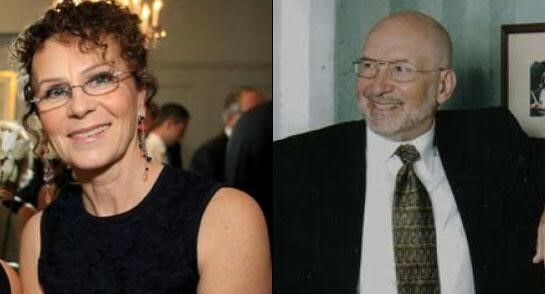 The entry period for the 2019 Ross and Davis Mitchell Prize is now open and closes June 30th, 2019. The 2019 Ross and Davis Mitchell Prize invites writers to submit poetry suites, collections of poems unified and organized by a central theme or idea. All poetry genres are welcome, however your suite may be no fewer than 200 lines and no more than 500 lines. The entry period for the 2019 Mitchell Prize is now open and closes June 30th, 2019. A total of $25,000 CAD will be awarded by a committee of three judges: Lorna Goodison, Chelene Knight, and Scott Cairns. The runner up will receive $5,000 CAD and the winner will receive $20,000 CAD. All the shortlisted nominees will have their work considered for publication in Image journal. The Ross and Davis Mitchell Prize is open to all writers currently living in Canada and Canadian citizens living abroad. Previous publication is not required to enter. Spirituality plays an integral role in Cairns’s writing. In an interview, he said, “I’ve come to think of beauty as how God woos us to himself. One doesn’t so much create it or illuminate it as partake of it. Thereafter, one par ticipates, collaborates, in its endless development.” His new projects include Descent to the Heart, a verse adaptation of selections from the writings of Saint Isaak of Syria. His spiritual memoir was recently released in Greek, (Μικρό Ταξίδι στι Μεθόριο), Romanian (Scurta Calatorie Pâna la Capat), and in a second, expanded English edition. Cairns has received fellowships from the Guggenheim Foundation and the National Endowment for the Humanities, and was awarded the Denise Levertov Award in 2014. 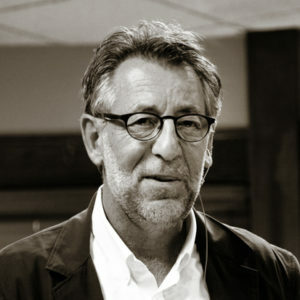 He is Professor Emeritus at the University of Missouri where he was the Curators’ Distinguished Professor of English, and currently directs Seattle Pacific University's MFA in Creative Writing program. Cairns is also the founding director of Writing Workshops in Greece, a program that brings writers to study and engage with literary life in modern Greece. Lorna Goodison is the poet laureate of Jamaica. 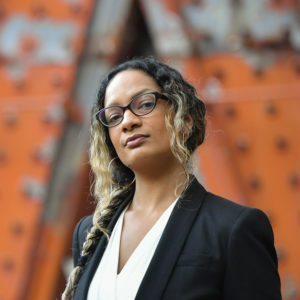 She is the recipient of numerous prizes for her work, including the 2018 Windham Campbell Prize for poetry. Goodison is author of twelve collections of poetry, three collections of short stories, a collection of essays, and the memoir From Harvey River: A Memoir of My Mother and Her People, which won the BC National Award for Canadian Nonfiction and was a finalist for both the Trillium Book Award and the Charles Taylor Prize for Literary Nonfiction. Her work has been included in the major anthologies and collections of contemporary poetry published in the United States, Europe, and the West Indies over the past thirty years, including Norton’s Anthology of Modern and Contemporary Poetry and Longman’s Masters of British Literature. Derek Walcott describes Goodison’s work as containing that “rare quality that has gone out of poetry … joy.” Often intensely metaphysical, even theological, her poems are at the same time deeply rooted in the particularities of time and place. She writes of her mother’s long hours at the sewing machine, of family meals, of funerals and weddings, punctuating her verse with folk songs, hymns, recipes, and family lore. Goodison is Professor Emerita in the Department of English at the Centre for African and Afroamerican Studies at the University of Michigan. Chelene Knight is the author of the poetry collection Braided Skin and the memoir Dear Current Occupant, winner of the 2018 Vancouver Book Award. Her essays have appeared in multiple Canadian and American literary journals, plus the Globe and Mail and the Toronto Star. Her work is anthologized in Making Room, Love Me True, Sustenance, The Summer Book, and Black Writers Matter. Entries that do not adhere to the following guidelines will not be considered. Submissions must be anonymous. Omit any personal references from the body of the submitted documents. Multiple submissions will not be accepted. Only the first entry will be considered. Writers retain ownership of all submitted material, but there may be no simultaneous submissions (i.e. do not submit your entry to other prizes or publications). All entries must be submitted in English. Entrants must have their material submitted by midnight on June 30, 2019. No late entries will be considered. There is a $25 USD entry fee to be paid upon submission. The fee includes a one-year digital subscription to Image (4 issues), as well as access to the journal's digital archives (50 issues) for one year. When Ross Mitchell passed away in December 2013, he left behind a legacy of storytelling. Although he was many things—lawyer, entrepreneur, philanthropist—his wife Davis recalls that what most people remembered about him were his stories, and particularly how his faith was expressed through his stories. Davis, with a Masters in Theological Studies and a career as a spiritual director, is no stranger to the powerful role that stories play in spiritual growth, and much of her work has focused on the importance stories and faith play in healthy lives. As a graduate of the University of Toronto (with a BA in English literature), Ross went on to Law school at the University of Toronto. After just over half a decade of practicing law, he left to establish Madison Chemical, a company that would grow into a successful, international corporation. Ross and Davis leveraged this success to launch The Mitchell Foundation in 2000, with the goal to sponsor and support faith-based organizations that were seeking to bring their message into contemporary Canadian society. The 2017 recipients of the Ross and Davis Mitchell Prize. Rowda Mohamud: "Please Find yourself a Space"